Artist Rick Davis life as an artist began in Alabama. Davis would draw images and portraits of family members in their rustic wood framed home. A unique building with a fireplace on each end would later become the subject matter of his works. Sketching family is how Davis learned to draw. Sharpening his skills he would draw his grandmother sitting in her rocking chair. In 1959 Davis was encouraged by his art teacher to enter an art contest being held by Progressive Farmer Magazine. The contest requested original works of art based upon Mountain and Hill Landscapes. This event changed the young artists interests, and help him evolve into a more well rounded artist. Davis early work, focused so much on the seemingly minor details of his subject matter, that he was often criticized for it. However, his obsession with detail and defining the wrinkles and folds in flesh, added a unique perspective to his art. Fascinated with trees and how to draw them, Davis would frequently make the focal point of his works the most obscure aspects of the subject. Initially intending to draw a church, on one work of art, the tree in front of the church would dominate the piece. Nature and landscapes became increasingly more frequent subject of his work. Again, after being exposed to the architecture of Airplanes and warships after his family moved to a Florida navy base, Davis again noticed the nature in the subject matter. "I seemed to be attracted to the warm sky, the colors and the deep blues" said Davis. "Back then we lived right on the beach. I drew skies, palms and old structures almost every day. This really helped me perfect my artist's eye. After high school, Davis received an Art Scholarship, Seminole junior College. Then Davis discovered Salvador Dali and his "unconventional and realistic detail". Often Davis attempted to reproduce and copy the work of Dali. Again this expanded his work with many different styles and mediums such as using colored pencil, pastel, and charcoal. Davis began to experiment with the understanding that art was open to impression more, bridging abstract and realism . As an adult, Davis experimented with photography. This coincided with his love of the environment and landscapes. After extensive study, Davis became a licenced and government certified Environmental Specialist focused in aquatic flora. Davis and his camera were inseparable. "When I found a plant or tree or other landscape that captured me, I would go back week after week until I got exactly the image I wanted." said Davis. An example of his work is his work entitled "Brick Lantana". Since Lantana is an invasive species of plant, the irony of the plain growing out of the cracks of a brick wall covered in graffiti is a powerful work of art. Rick Davis images can be found in a growing number of Fine Art Galleries in Florida. A secret spot that I come to many time to get wonderful shots like this. 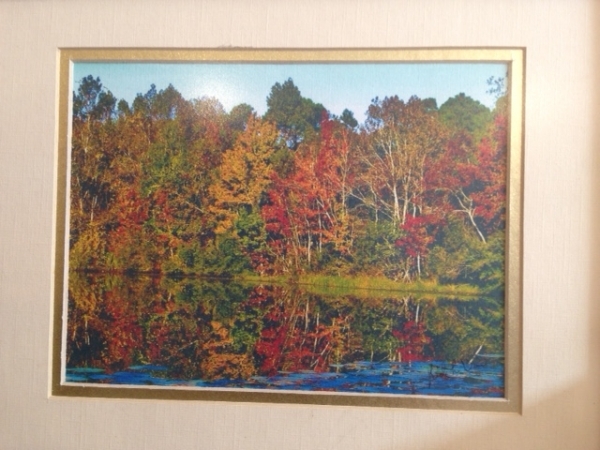 Rick L. Davis Professional Artist Artist Rick Davis life as an artist began in Alabama. Davis would draw images and portraits of family members in their rustic wood framed home. A unique building with a fireplace on each end would later become the subject matter of his works. Sketching family is how Davis learned to draw. Sharpening his skills he would draw his grandmother sitting in her rocking chair. In 1959 Davis was encouraged by his art teacher to enter an art contest being held by Progressive Farmer Magazine. The contest requested original works of art based upon Mountain and Hill Landscapes. This event changed the young artists interests, and help him evolve into a more well rounded artist. Davis early work, focused so much on the seemingly minor details of his subject matter, that he was often criticized for it. However, his obsession with detail and defining the wrinkles and folds in flesh, added a unique perspective to his art. Fascinated with trees and how to draw them, Davis would frequently make the focal point of his works the most obscure aspects of the subject. Initially intending to draw a church, on one work of art, the tree in front of the church would dominate the piece. Nature and landscapes became increasingly more frequent subject of his work. Again, after being exposed to the architecture of Airplanes and warships after his family moved to a Florida navy base, Davis again noticed the nature in the subject matter. "I seemed to be attracted to the warm sky, the colors and the deep blues" said Davis. "Back then we lived right on the beach. I drew skies, palms and old structures almost every day. This really helped me perfect my artist's eye. After high school, Davis received an Art Scholarship, Seminole junior College. Then Davis discovered Salvador Dali and his "unconventional and realistic detail". Often Davis attempted to reproduce and copy the work of Dali. Again this expanded his work with many different styles and mediums such as using colored pencil, pastel, and charcoal. Davis began to experiment with the understanding that art was open to impression more, bridging abstract and realism . As an adult, Davis experimented with photography. This coincided with his love of the environment and landscapes. After extensive study, Davis became a licenced and government certified Environmental Specialist focused in aquatic flora. Davis and his camera were inseparable. "When I found a plant or tree or other landscape that captured me, I would go back week after week until I got exactly the image I wanted." said Davis. An example of his work is his work entitled "Brick Lantana". Since Lantana is an invasive species of plant, the irony of the plain growing out of the cracks of a brick wall covered in graffiti is a powerful work of art. 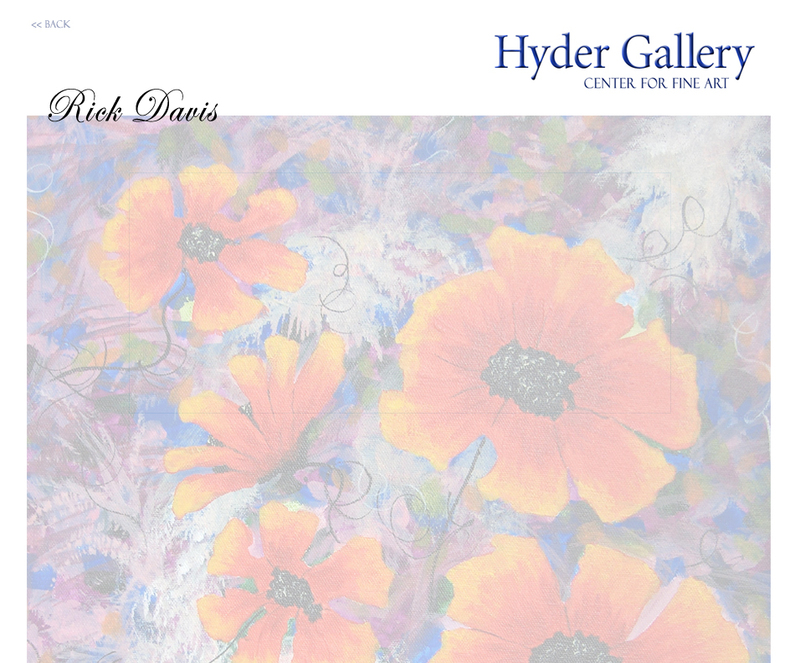 Rick Davis images can be found in a growing number of Fine Art Galleries in Florida.